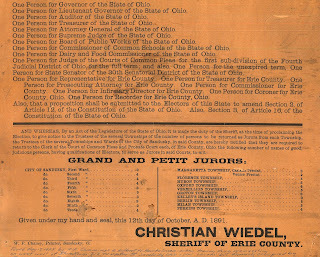 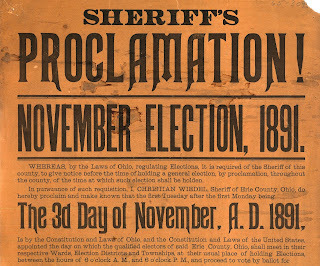 On October 12, 1891, Erie County Sheriff Christian Wiedel posted a proclamation which notified area residents that the November election of 1891 was to be held on November 3, 1891. 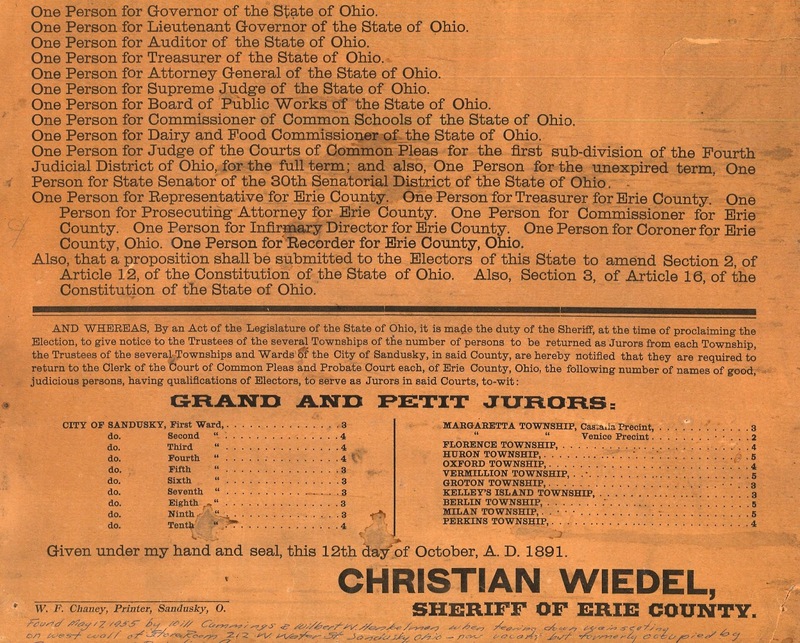 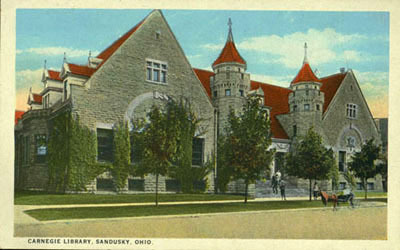 The Sandusky Register of November 4, 1891 listed a tabulation of election results. 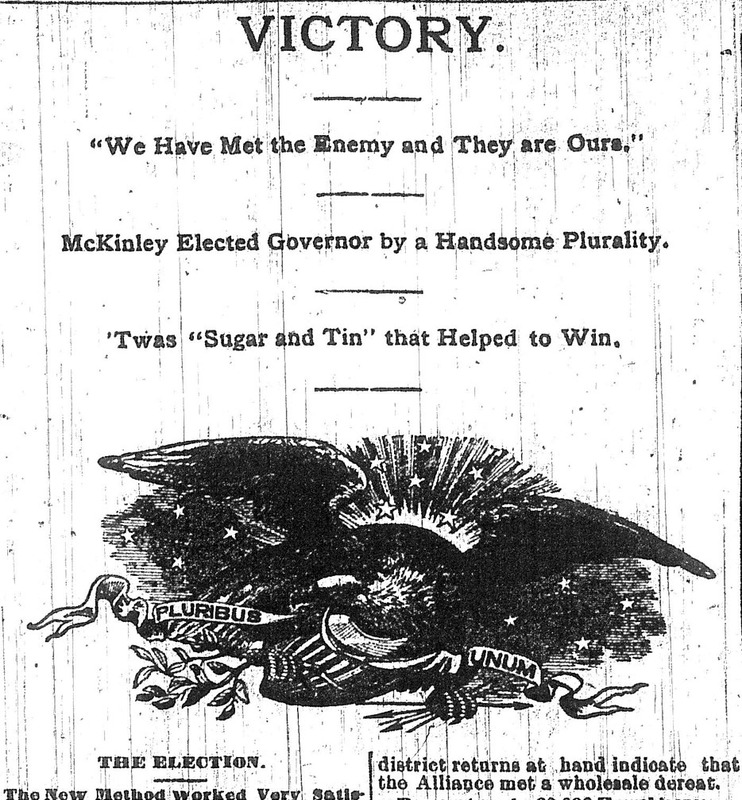 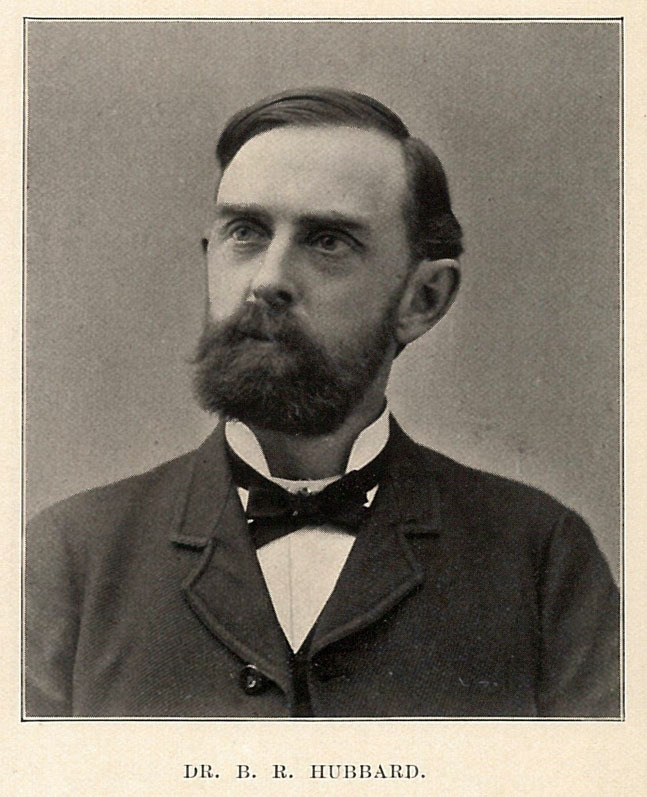 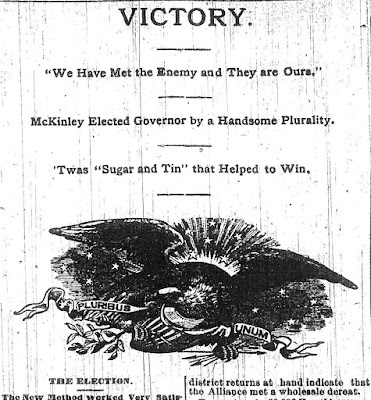 Governor McKinley won “by a handsome plurality.” Of course he would later win the Presidential election, and he served as U.S. President from March of 1897 until he was assassinated in 1901. 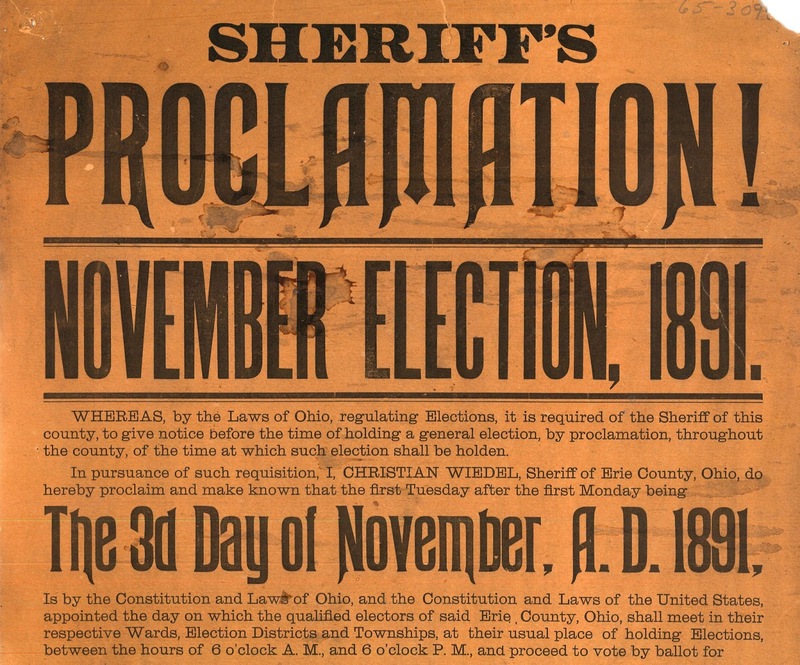 You can read much more about Erie County’s elected officials in the book Elected to Serve: Erie County, Ohio, 1838-2003, by Patty Dahm Pascoe, available in the library's Genealogy collections.